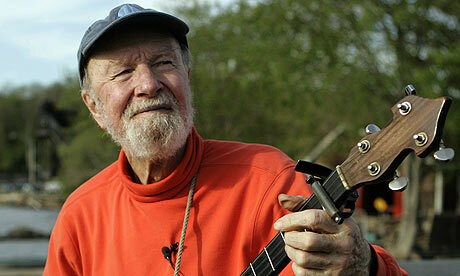 Pete Seeger turned 92 this past Tuesday (3 May), so we played a few of his story songs this week. And we invited a few of his friends, family and admirers in to round out the program. To hear the stories below, visit the Tell Us A Tale Past Stories Page, where they will be available in RealAudio through Saturday, 21 May, 2011.